Are you looking for assistance managing your digital assets? Advantage Video Systems is here to help! 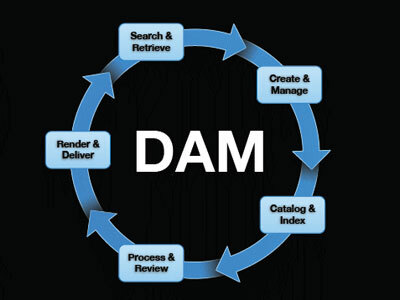 Our team works to understand your requirements and design a Digital Asset Management (DAM) system that is catered to your specific needs. From the day of our initial consultation call, we ensure the transition to your new DAM system is trouble-free. Our Digital Asset Management Systems are both powerful and robust, and are capable of organizing and automating your end-to-end workflow. Advantage Video Systems can integrate your Digital Asset Management System with your editing bay, while making it compatible with your SAN, NAS and back up solution. We provide a 360° solution for production, post production and enterprise related areas of your business. Our team will schedule a consultation appointment to discover your individual needs and requirements. Once this is defined, we develop a custom plan to ensure that you will meet your goals. This plan will put you on the fast track to success, and we will be there with you every step of the way. Now that we have a plan in place, we begin the design phase of the process. We will submit the designs, along with detailed workflows, for your approval prior to integrating it into your existing equipment. When we have your approval on the designs and workflows, we will begin the process of testing the system. It’s our mission to deliver a flawless system, so we will verify that the system is working to its fullest capacity prior to integrating it with your current equipment. Advantage Video Systems understand the importance of mobile technology. We believe that a total DAM system is not complete without the integration of mobile solutions. We specialize in integrating computer tablets and mobile devices with our clients existing infrastructures, including access to email, calendars, and contacts. Equip your staff with the ability to work remotely. Improve productivity – benefit from business processes on the go!